Newton Cavalcanti began his training in the studio of Oswald Goeldi, a master of woodcut technique and one of the most important figures in the development of modern Brazilian printmaking. He subsequently entered the Escola de Belas Artes at the State University of Rio de Janeiro (1954), and went on to study art education at the Escolinha de Arte do Brasil in 1962. 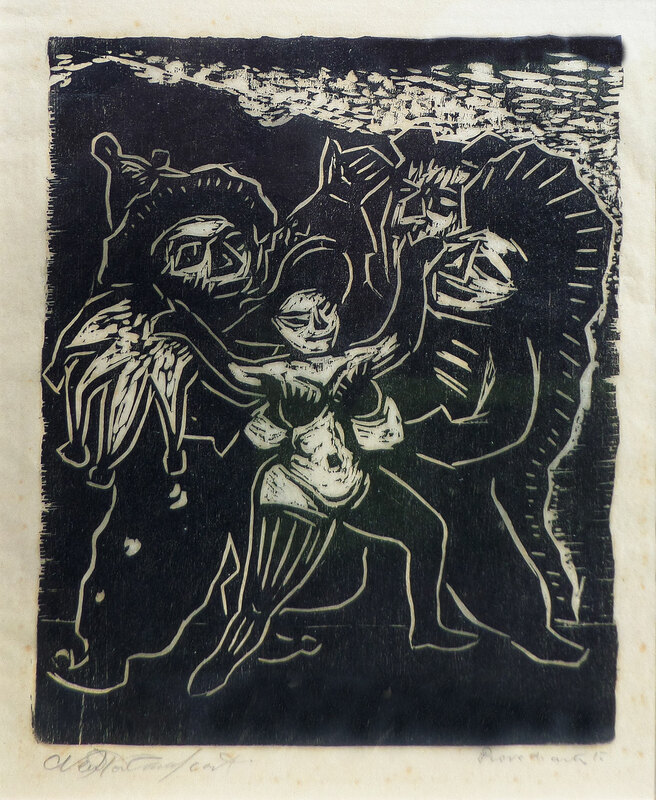 Cavalcanti was professor of printmaking at the Centro Educacional de Niterói, 1960 – 1976, and also taught at the Universidade de Brasília and at the Instituto de Artes Visuais, Inaert. Several books of his prints and illustrations have been published. He has participated in in the Salão Nacional de Arte Moderna, 1958 – 1972 and the Bienal Internacional de São Paulo, 1958 – 1972. In 1965 Cavalcanti’s work was included in Brazilian Art Today, a small group exhibition that toured in Norway, Austria, Sweden and England. Between 1973 – 1975 Cavalcanti stayed in Europe, completing courses in Italy, Germany and England, where his work was subsequently shown at the Canning House Gallery in 1975. In 1975 he travelled to Lisbon, supported by the Gulbenkian Foundation. During the 1980s Cavalcanti collaborated on several short films, and designed scenery for the performance of the opera the Barber of Seville at the Teatro Municipal in Rio de Janeiro. 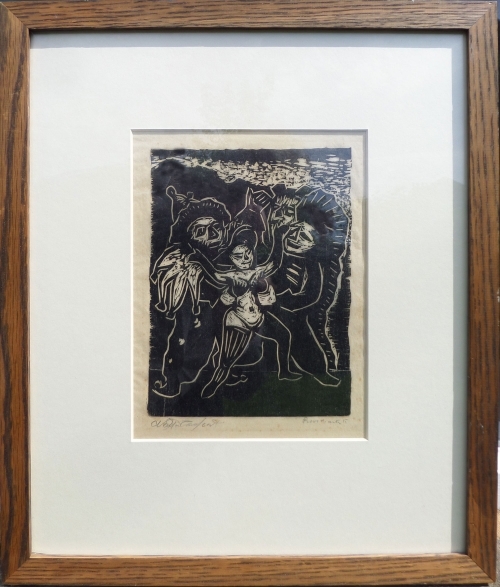 More recently, his work has been included within collective exhibitions, many of which focus upon the development of Brazilian printmaking. His solo exhibition Mitos da Terra (Myths of the Earth) took place at the Espaço Cultural Caravelas, Rio de Janeiro in 1999.